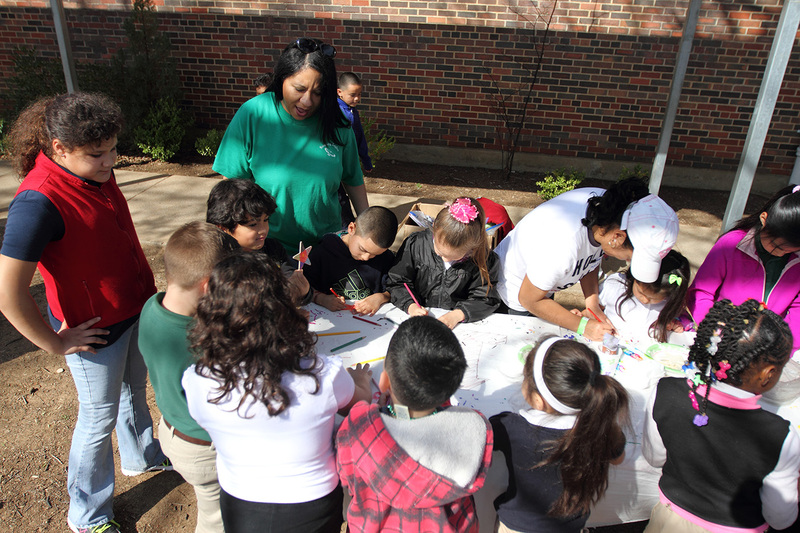 Students, staff, parents and volunteers celebrated St. Patrick’s Day with green thumbs on Tuesday, March 17, as they planted a new garden at John Quincy Adams Elementary School. Tuesday’s installation marks the 27th garden coordinated by nonprofit REAL School Gardens, and the first one at a Pleasant Grove campus. 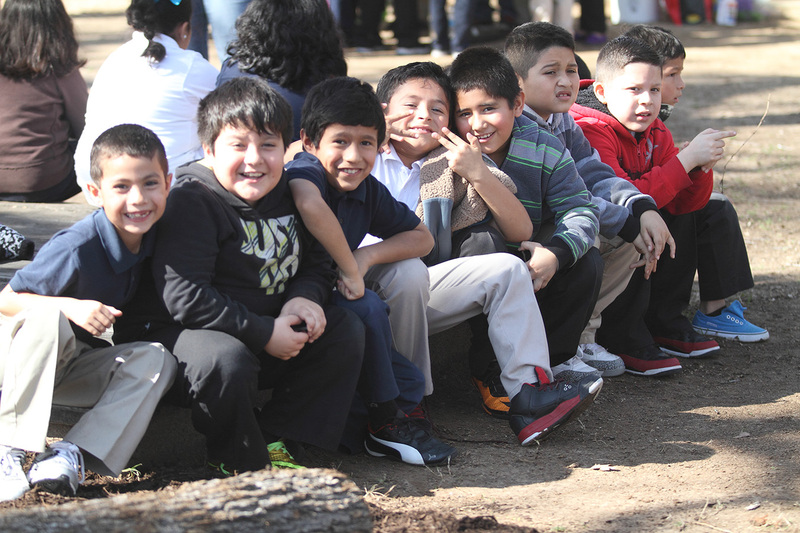 “It will put us on the map,” said fifth-grader Juan Duran. “We’re going to have a garden. Other people don’t have a garden.” He said he’s also looking forward to using the outdoor classrooms and sampling some of the vegetables he and his fellow students will help grow. 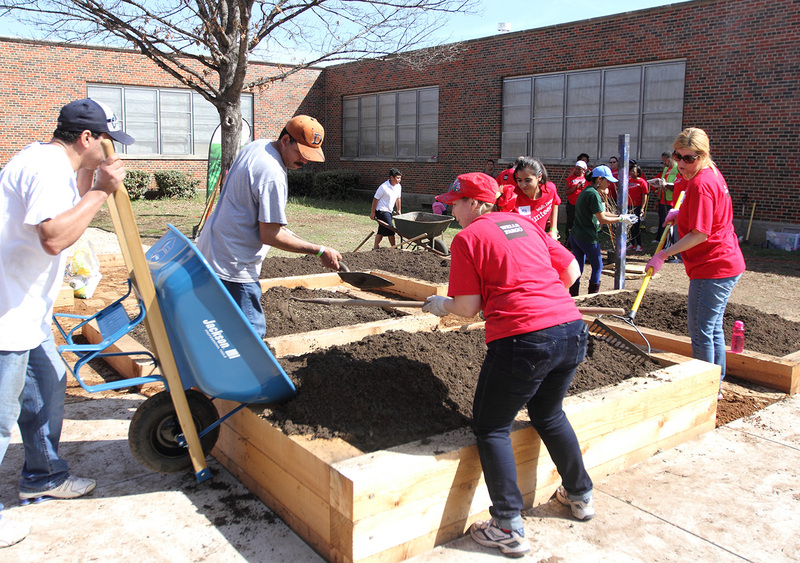 The project at Adams was implemented with help from 60 volunteers from the Wells Fargo “Green Team.” The company has also donated more than $200,000 toward garden projects with REAL School Gardens since 2011. 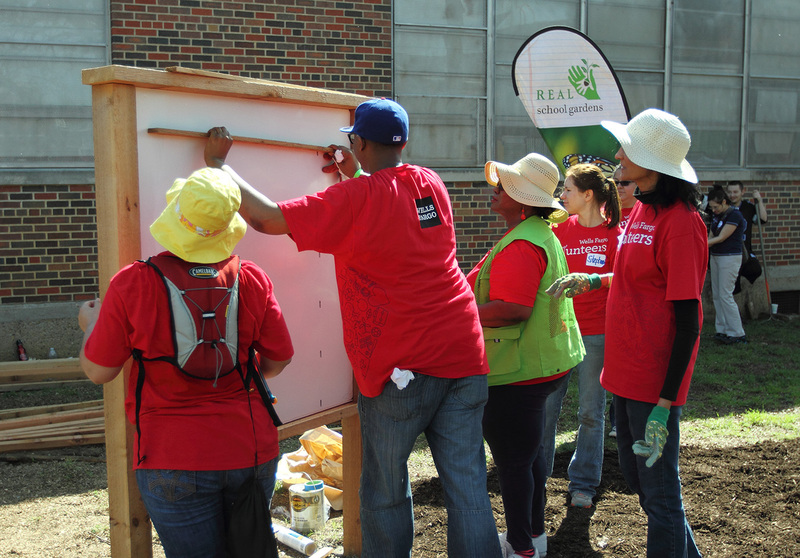 Nearly 300 volunteers have contributed 1,600 volunteer hours on garden projects in the past four years. 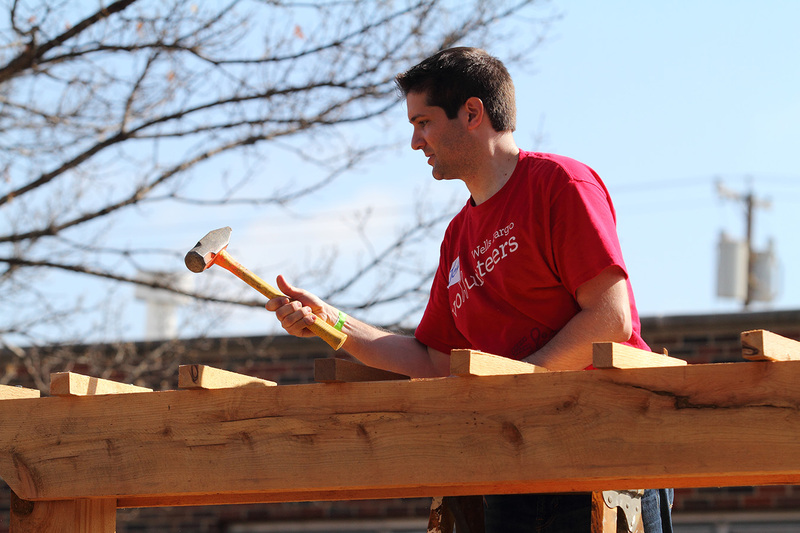 Another motivator for volunteers is providing new learning opportunities for students. For REAL School Gardens, the concept of providing gardens to boost educational opportunities is its central mission. Ellen Robinson, program director for the organization, said the garden’s hands-on activities that are meaningful, interesting and authentic come naturally in the outdoor setting. Besides enhancing academic lessons, she said gardens can also help students establish healthy habits. “They will be eating things they never thought they’d eat,” she said. 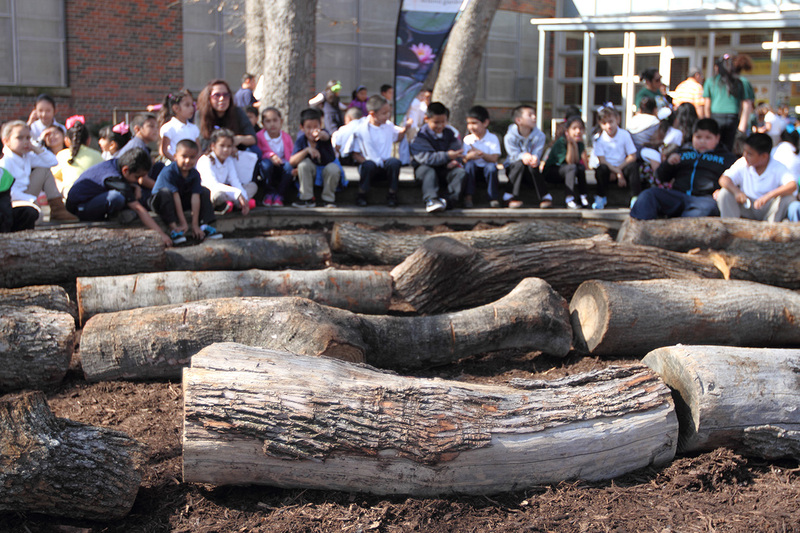 Principal Nancy Bernardino said she and her staff are billing the new garden as not only a benefit to the school, but also to the Pleasant Grove area. The garden will become a place that community members may visit and enjoy. Many parents, including dads, took a day off from work to pitch in at the installation and serve as positive examples for the children. “They feel it’s such an investment to be out here,” she said, adding that their work will leave a lasting legacy at the school. Bernardino said the application for the garden was submitted three years ago, and she credited Wells Fargo with believing in the school to finally make it happen. The original date for the installation was March 5, but Mother Nature had another plan. A blanket of snow closed Dallas ISD schools and pushed the date to March 17. The REAL School Garden at Adams helps make a great school even better. 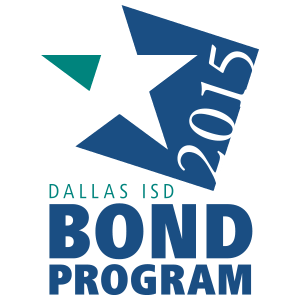 Three additional Dallas ISD schools are going through the application process this week. Learn more at realschoolgardens.org.